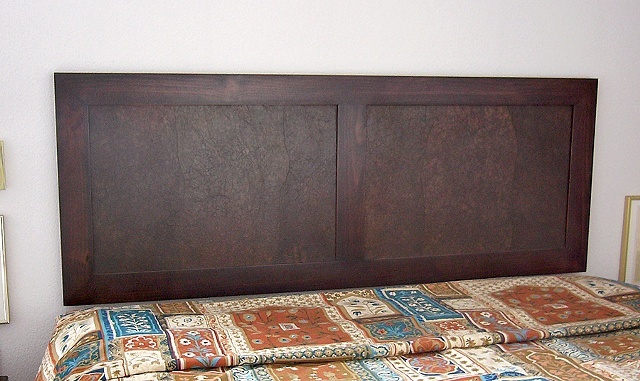 Wall hung wood and tinted paper headboard made of solid stained alder with inserted panels made with a tinted paper skin over plywood. The paper color is called Sonoma and has browns with hints of wine accents. It has a gel urethane top coat and is hand finished with wax.